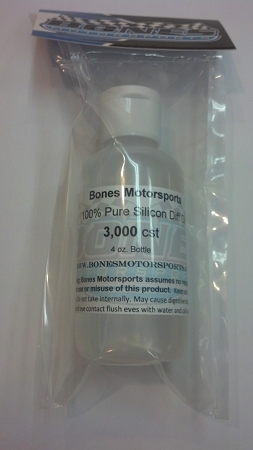 Bones Motorsports uses Pure Silicon Fluids that are rated with the Industry Standard CST rating. We offer many different viscosity's that are carefully made and certified. Bones Motorsports is dedicated to provide you with an excellent shock and diff oil to put you in the winners circle.